Muscogee Manor & Rehabilitation Center is comprised of a complete, modern, skilled nursing facility with a rehab wing, COBIS Personal Care Home, Muscogee Home Health Agency and Muscogee Home Care. 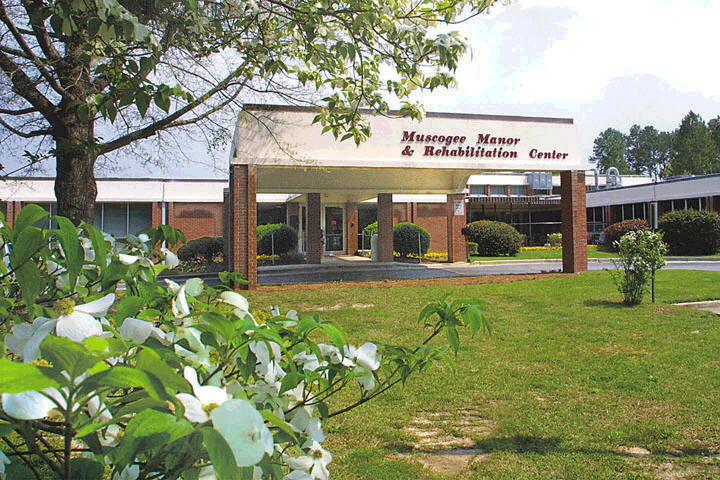 Muscogee Manor Center is licensed by the State of Georgia and is approved for Medicare and Medicaid. Services offered include: medical, dental, optometry, podiatry services, and diet supervision by a registered dietician. Welcome to Muscogee Manor Center !! !